The center of Not Quite So Stories is the idea that life is inherently absurd and all people can do is figure out how they will live in the face of that fact. The traditional explanation for the function of myth (including such works as the relatively modern Rudyard Kiping’s Just So Stories) is as an attempt by humans to explain and demystify the world. However, that’s hollow. We may be able to come to terms with small pieces, but existence as a whole is beyond our grasp. Life simply is absurd, ultimately beyond our comprehension, and the best we can do is to just proceed on with our lives. The stories in this collection proceed from this conception, each focusing on a character encountering an absurdity and focusing on how they manage to live with it. 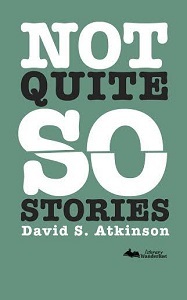 This book is a collection of short stories by David S. Atkinson and each story is as fantastic as the last, something that I absolutely didn’t expect. Normally, I’m not a fan of short story collections as there are usually one or two picks in the bunch that brings the whole thing down and then I feel very conflicted when it comes to writing up the review. Not the case this time. It’s quite difficult to explain what it is that makes this author extraordinary but I’ll give it a go: the stories are surreal, without that ‘trying too hard to be weird’ vibe. The humour in them is very subtle but colours each story and all of the characters are utterly real in their embodiment of whatever quality Atkinson is trying to present. One of my favourites is a cute story about a married couple, they are very real people with the oh-so-familiar set up of taking it in turns to cook dinner and wash the dishes. The husband feels a little insecure in their relationship and starts to express his concerns in a creative and artistic way, his expression is so elegant and mysterious and it plays on the fact that we’re conditioned to think that anything poetic is superior. This was one of the two stories that made me laugh out loud when we’re abruptly brought back to the reality that insulting his wife’s cooking via poetry is not superior, it’s just passive aggressive and annoying. The other story that had me giggling was The Toilet Roll War of 2012. I live in a house shared by young professionals. I live this war every day and it is an ugly one. It is another story about a couple and what I love about both of them is that their disputes aren’t the huge relationship-ending ones but those silly little issues that creep into your lives but don’t mean the end of everything. In this case, the woman in the relationship doesn’t change the toilet roll on the holder when she finishes it. The scale of their war is what takes this story into absurdity…. but let’s face it, can any of us say we wouldn’t go to extreme lengths to make sure our partner was fully housetrained? I’m with the husband on this, she’s clearly a monster who needs to be shot, but that’s neither here nor there. The story is presented as a document, stating the progression of their war and the eventual terms of surrender on both side with a big dash of dry humour. Most of these stories moved me in one way or the other, they have a tiny element of the extraordinary in the middle of the ordinary world and the results are wonderful. The writing style is gripping and each story is the perfect length and completely satisfying, I would recommend this collection to fans of character studies who are looking for a nice fun read or anyone with limited time on their hands for reading. 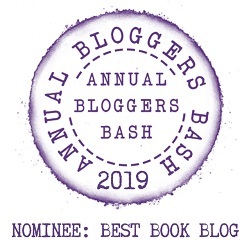 David S. Atkinson is the author of “Not Quite so Stories” (“Literary Wanderlust” 2016), “The Garden of Good and Evil Pancakes” (2015 National Indie Excellence Awards finalist in humor), and “Bones Buried in the Dirt” (2014 Next Generation Indie Book Awards finalist, First Novel <80K). His writing appears in "Bartleby Snopes," "Grey Sparrow Journal," "Atticus Review," and others. He spends his non-literary time working as a patent attorney in Denver.